Art and money seem oxymoronic, but you can’t have one without the other. It’s no mystery that art is typically thought of as an opulent hobby for the rich, and while it is, art becomes a matter of money as it is a business for many artistic institutions. Many exhibitions hosted by famous galleries, such as the Tate, cost around £1 million to hold, and because the art shown is not for sale thus existing beyond the market, tickets must cost upwards of £10-20 in order to profit, which most likely contributes to the notion that art is an expensive hobby. What student or working-class person could afford this regularly? Nevertheless, the art market remains infamously expensive. For billionaires, it is sport to own the highest valued painting possible, and for the less (but still substantially) rich, art is a way to make money by buying pieces and selling them at a higher price. Consequently, the market reined in $63.7 billion in sales last year. Banksy’s recent prank on buyers, in which his painting immediately shredded through the frame after being purchased, was widely interpreted as criticism of the very market it was bought in but ironically doubled in value because it was the first incident of its kind in history, making the painting even more exclusive. Such an irony is counterproductive at best. 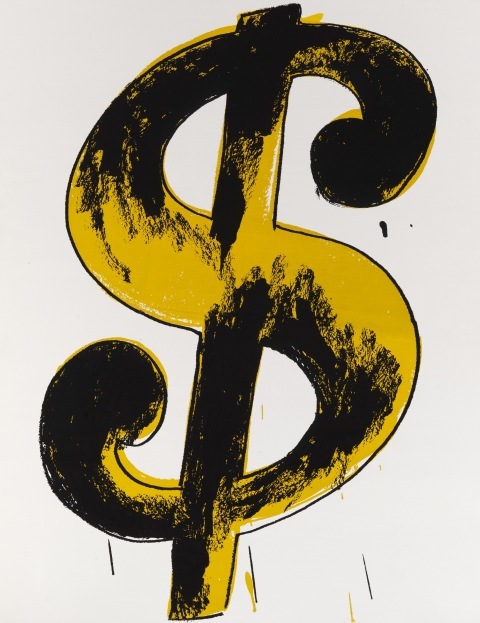 For Warhol, money is art. His painting Dollar Sign shows his interest in the aesthetic and curvature of the currency symbol, perhaps even revelling in his dominance in the art market. The painting is most widely known, however, to be an expression of the convergence of art, money, and celebrity status using an image most notably rooted in hip-hop culture in which money is a popular subject. Warhol is not the only artist for whom money itself is an avenue for artistic expression. Damien Hirst’s For the Love of God skull is encrusted with diamonds and reeks of wealth, affluence, and luxury. The piece, however, is a demonstration of the fact that simply existing as a piece of art adds value to it, as it originally cost him around £14 million to make, but sold for a whopping £50 million, generating a profit of £36 million that arguably just paid for the piece’s very status as art. 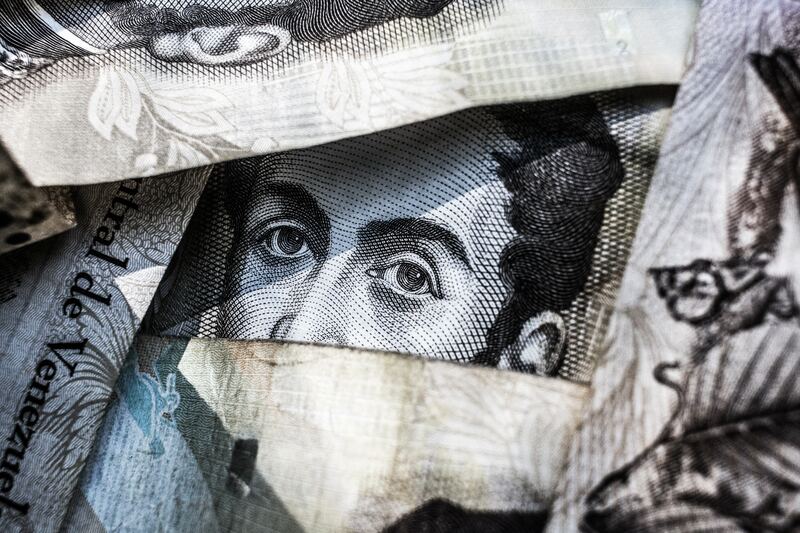 Money itself is part of the process of how we create and view art. The door, then, is blown open for other artists to make a living from their work, as it is normal now to demand payment and see your own productions as having monetary value in their own right. While the grossly expensive art market is a painful reminder that it is a trade reserved for the filthy rich, artists should feel free to go forth and profit from their skills. Art exists everywhere, and we need animators for our TV shows, graphic designers for marketing and social media, and we need artistic directors in game design for our video games. The list goes on; we benefit from art, and so our artists should benefit from due remittance. ← ‘Genesis ‘ – A New Vegan Eatery.